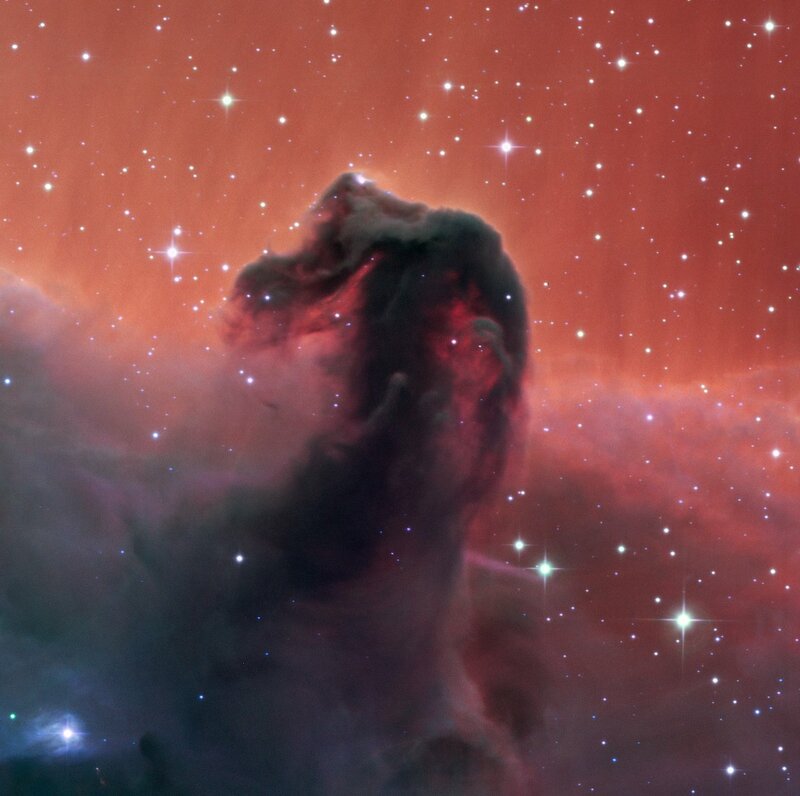 This first light image from the Callisto telescope at the SPECULOOS Southern Observatory (SSO) shows the famous Horsehead Nebula . First light for a newly commissioned telescope is a tremendously exciting time, and usually well-known astronomical objects such as this are captured to celebrate a new telescope commencing operations. The SSO is installed at ESO’s Paranal Observatory in the vast Atacama Desert, Chile, and consists of four 1-metre planet-hunting telescopes. The project’s telescopes are named after Jupiter’s Galilean moons, and are neighbours of ESO's Very Large Telescope and VISTA . SPECULOOS will focus on detecting Earth-sized planets orbiting nearby ultra-cool stars and brown dwarfs. Position (Dec): -2° 27' 24.91"